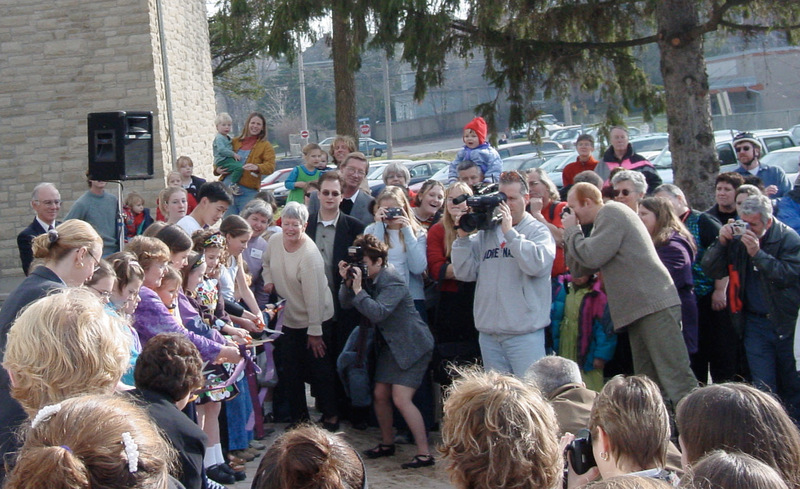 The Suzuki String School of Guelph was founded in 1972 as a result of the happy coming together of several interested, enthusiastic parents and teachers. Because of the unique cooperative spirit exhibited in an administrative structure which brings together skilled musicians and teachers and dedicated parents, the school has remained committed to the teaching philosophy and pedagogic techniques of Dr. Shinichi Suzuki. From humble beginnings of around 20 violin students, SSSG currently serves around 180 students who play violin, viola and cello. It employs 10 full-time and part-time faculty as well as an artistic director, a part-time administrator and a part-time bookkeeper. The school is a charitable, not-for-profit organization registered with the Canada Revenue Agency and governed by a Board of Directors made up of elected Suzuki parents and interested members of the community. The Board sets policies and governs the general operations of the School. Since 2001, the SSSG has been based at the Guelph Youth Music Centre, a unique facility that educates, enriches and fosters the development of our youth through music and the arts. The Suzuki String School of Guelph, its board, parents and teachers, instigated the Guelph Youth Music Centre project and participated heavily in its fundraising and the volunteer hours towards the renovation of the Heritage Seed Building. SSSG is recognized as an institution of excellence in musical education in the Guelph-Wellington region and a leader in its field across North America. The Suzuki String School of Guelph offers weekly private lessons, regular group lessons, orchestras, chamber music and parent enrichment classes. There are no auditions to enter the program—every child is welcome. SSSG has a bursary fund available for families in need of financial support. At the SSSG, students are also performers. We see the need for young people to gain confidence, sensitivity and leadership skills through performing with and for others. We put on two mass concerts a year at the River Run Centre, as well as solo recitals, joint concerts with other youth arts organizations, performances at the local Kiwanis Music Festival, as well as school concerts and performances at many community festivals and events throughout the year. Our senior students perform at a very high level both in solo and group performances. Many of them do RCM exams and are scholarship winners at Guelph Kiwanis Music Festival and provincial finalists at the Ontario Music Festivals Association. 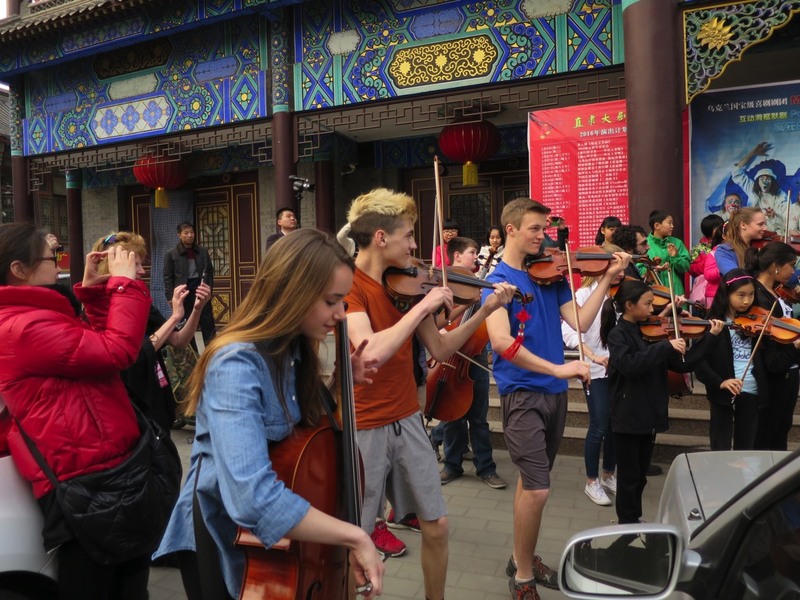 They have participated in tours and student exchanges in Ontario, Alberta, Newfoundland, Quebec, Manitoba and in the United States, China, Poland and France. The SSSG serves a wide geographical area, drawing many students from beyond Guelph/Wellington County from as far away as Georgetown, Acton, Cambridge, Kitchener-Waterloo, Ancaster, Belwood, Fergus, Elora and Mount Forest.